Today, buying property abroad is an absolutely regular procedure. And do not be that surprised – real estate prices in Montenegro are comparable or are even lower than real estate prices in large Russian cities. But you would probably agree that it is impossible to compare property in polluted, ​​stuffy metropolis and a house on the coast in an ecologically safe area. Housing in Montenegro attracts Russians not only because of weather conditions and affordable prices. The fact is - Russian citizens have a visa-free entry and a right to stay in the country for a month. Since language and culture of our countries are similar, it is always possible to lease out a property in Montenegro as long as you do not live there. It has been already noted that tourism in Montenegro is developing at a frantic pace, and therefore, the demand for property will be high at all times. What kind of property is most attractive today? Of course, apartments in Montenegro, located 100-800 meters from the Adriatic coast, are in high demand. The fact is, the foreigner does not often emphasize the proximity to the sea - that is of prime importance often for the Russians. And, most often, later the property will be completely rearranged. The construction of new villas in Montenegro is very fast – it takes sometimes just six months after the beginning of construction works for a new house to appear. All cottages in Montenegro have certain peculiarity - a large terrace, which, if desired, can become an extra room. The most popular areas of Montenegro are Bay of Kotor (cheaper area), the outskirts of Montenegro - Budva, Ulcinj is less popular (Albanians live here – this fact creates kind of cultural and language barriers), Bar. It should be noted that real estate located in the mountains is less popular than the rest of the property. The reason is - underdevelopment of infrastructure and utility system. However, we should give proper respect to the project designers and authorities of the country, because these issues are resolved very quickly, and maybe after a while the demand for houses in the mountain areas will increase. 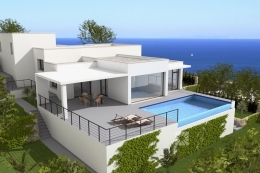 The average price of one square meter on the coast is 1000-4000 euros. 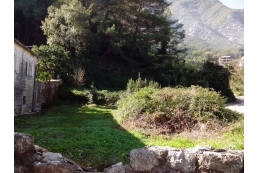 The closer to the sea, the price is higher – 5000-6000 euros per square meter. The price assessment is affected by recent house renovations, availability of private comfortable beach, a pier or plot area. Real estate prices in the mountain areas of Montenegro are considerably lower - 1000-3000 euros per square meter. In the elite places, such as Sveti Stefan, the price starts from 5000 euros per square meter. Real estate prices in Budva start from 3000euros per square meter, in Bar - from 2000 euros per square meter. 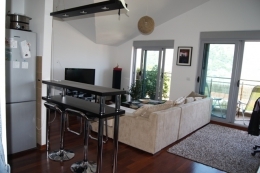 You can study the offer of our company and buy an apartment in Montenegro. Address only well-known and reliable real estate agencies. Choose a reliable lawyer who you can entrust the transaction. Make sure that the place where you buy a house has good infrastructure. Sign all the documents only in the presence of your lawyer. Never underestimate the value of the property. Otherwise, initially attractive deal might become a real devastation.